Sunfire orange quartz is a vibrant stone known for its intense red-orange hue. 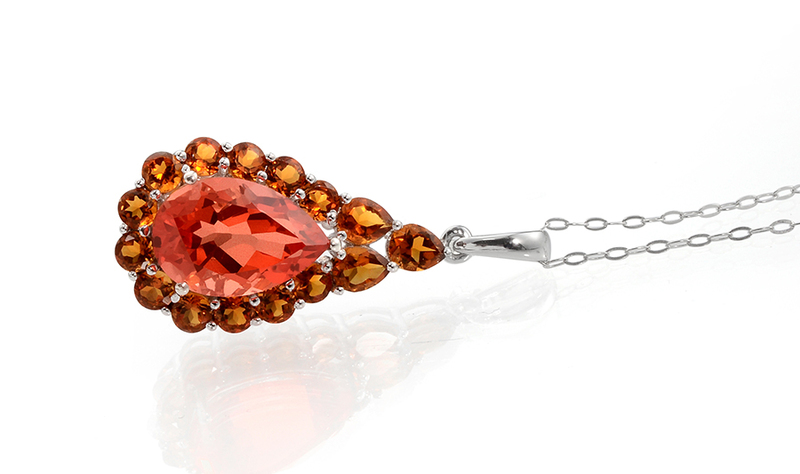 This gemstone brings the neon blaze of a fiery sunset to your jewelry wardrobe. Sunfire quartz is the red-orange macrocrystalline variety of quartz similar to clear quartz but with a very vibrant orange that is not commonly found in natural gemstone. 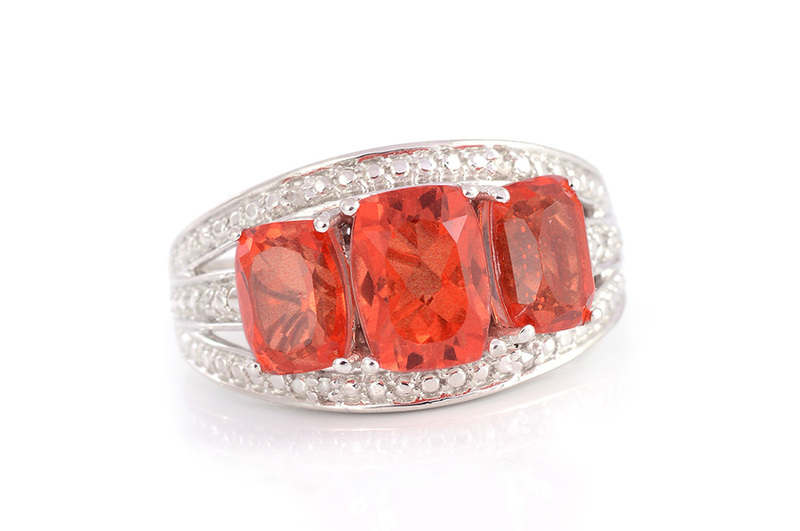 This gemstone's color ranges from deep red-orange to fairly light orange similar to the pulp of the fruit itself. This rare neon-orange color is the result of iron fibers contained within the stone. Sunfire quartz is a fine transparent gemstone that sparkles brilliantly as light passes through it uninterrupted. This stunning gem is best viewed in daylight especially during the moments just after sunrise and before sunset. Natural non-treated Sunfire quartz is extremely rare and expensive which hampers its use in the jewelry industry. However Shop LC is able to offer our customers treated Sunfire orange quartz by developing a unique coloring process and applying it to high quality clear quartz crystals. After color treatments this variety of quartz may be converted into a doublet a process that secures the colored stone under a protective natural crystal cap. This new two-layered stone is more resistant to impact and scratching than the original solid stones. Because of its highly involved process few retailers can afford to offer this unique variation of quartz. The neon red-orange color is hard to come by naturally. Sunfire orange quartz is a more affordable variety that Shop LC is excited to offer to our loyal customers. • Quartz is thought to energize and stabilize both your body and aura. It can hold and amplify the healing and therapeutic properties of other crystals. • Quartz is said to inspire serenity and compassion while it improves the immune system. • This gem is a beneficial office accessory as it is said to help you gain prosperity store knowledge and stabilize company finances. • Orange quartz in particular is considered an energizing stone stimulating vitality and creativity. It is believed to assist in overcoming fears and restoring self-worth. Shop LC sources quartz gemstones from Minas Gerais Brazil. This area is known to produce some of the highest quality clear quartz gems in the world. The quartz then undergoes treatments to produce its vibrant color and finish the stone. This stone can also be found in Africa Madagascar India and Arkansas. 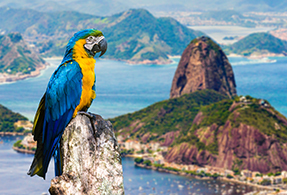 However the best quality and most brilliant natural clear quartz crystals are found in Brazil. 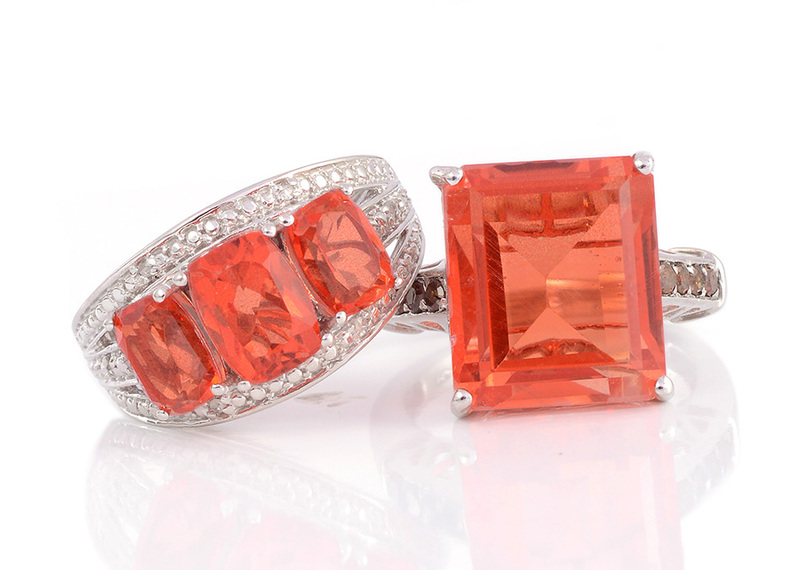 Quartz comes in a full spectrum of colors but the Sunfire variety is a vibrant red-orange. Also known as tangerine quartz. This gemstone has undergone a coloring process. In some instances this gem may have undergone conversion to a doublet.